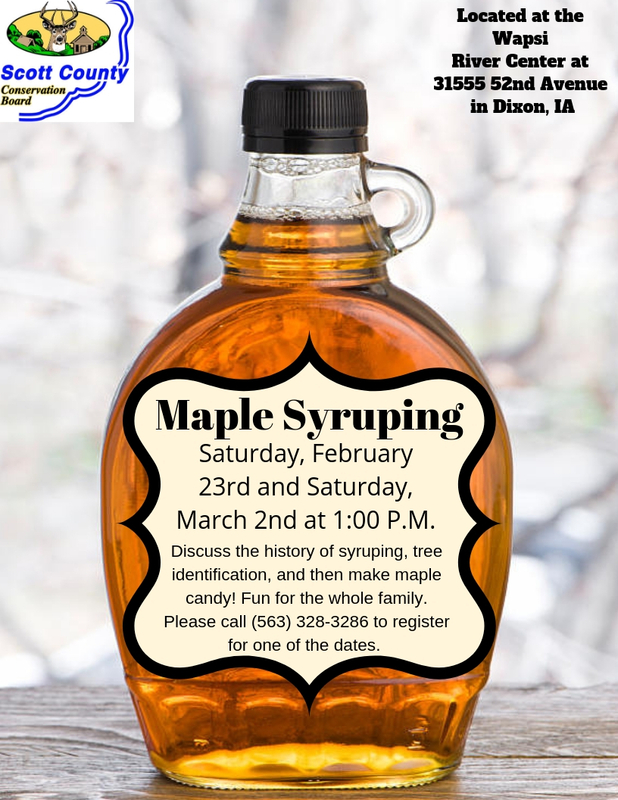 Come join a Wapsi River Center Naturalist to discuss the history of syruping, tree identification, and then make maple candy! Fun for the whole family. Please call 563-328-3286 to pre-register.